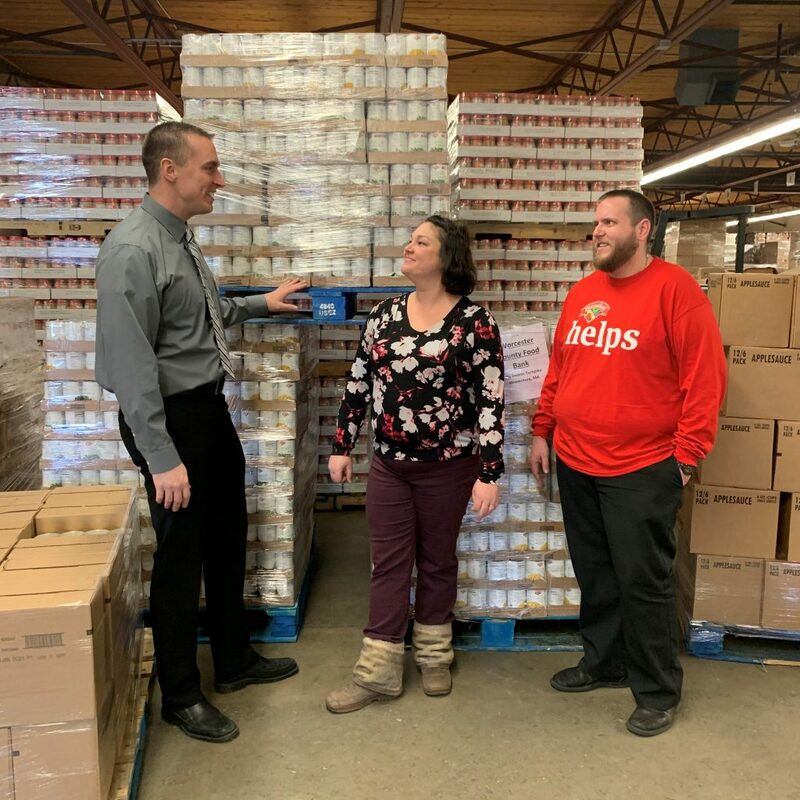 WORCESTER, MA – Hannaford Supermarkets and its customers donated 383 cases of food valued at $7,700 to the Worcester County Food Bank as part of a hunger relief campaign that produced $1.1 million dollars in nutritious food and cash to food banks and pantries throughout the Northeast. Register Donation: Customers donated money to a local food pantry at the register. The register donations totaled $66,866 throughout the Northeast, including $4,050 for the Worcester County Food Bank. Buy One, Give One:Hannaford donated specific products identical to those items purchased by customers during a four-week period.